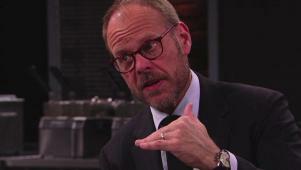 Alton Brown discusses with the special judge competitors the sabotages they faced as they prepared taquitos, meatball sandwiches and fruit tarts. Alton Brown and Geoffrey Zakarian discuss the sabotages the competitors faced as they prepared sliders, clambakes and BBQ chicken sandwiches. 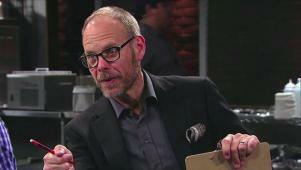 Alton Brown and Jet Tila discuss the sabotages the competitors faced as they prepared po' boy sandwiches and steak Diane. Alton Brown and Jet Tila discuss the sabotages the competitors faced as they prepared sloppy joes, chicken piccata and funnel cake. 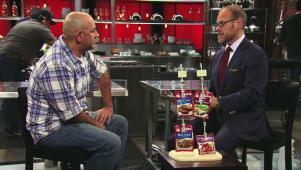 Alton Brown and Simon Majumdar discuss the sabotages the competitors faced as they prepared blackened fish and banana splits. 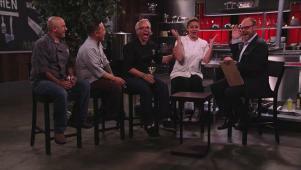 Alton Brown and Simon Majumdar discuss the sabotages the competitors faced as they prepared risotto, Reuben sandwiches and baked Alaska. 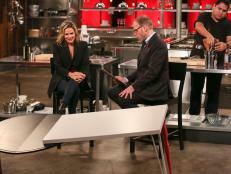 Alton Brown and Antonia Lofaso discuss the sabotages the competitors faced as they prepared poutine, General Tso's chicken and carrot cake. 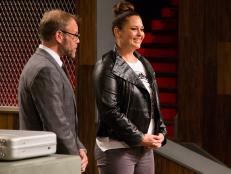 Alton Brown and Antonia Lofaso discuss the sabotages the competitors faced as they prepared cobb salad, enchiladas and layer cake. 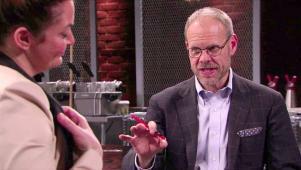 Alton Brown and Simon Majumdar discuss the sabotages the competitors faced as they prepared pea soup, lamb chop dinner and chocolate mousse. 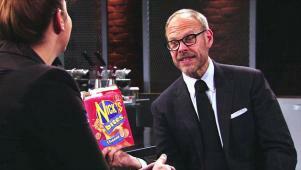 Alton Brown and Jet Tila discuss the sabotages the competitors faced as they prepared cocktails with hors d'oeuvres.